The Medium BuckLite MAX is an easy handling, lightweight and reliable folding knife. This large folder has a lockback design, and high clip placement for discreet and comfortable carry. The Black textured glass reinforced nylon handle offers a comfortable grip and the stainless steel blade has a thumb stud opener. It's what you would expect for $20. Lightweight too! 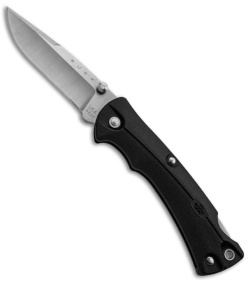 A very basic folding knife. 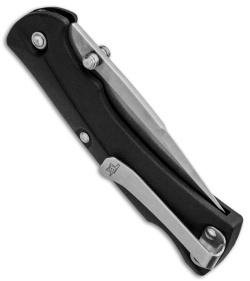 This knife hold well in the pocket and opens with a nice ferm click. USA made and good clean lines.